I just finished reading a great interview with Jocelyn Shipley over at Debbie Ohi’s Inkygirl blog. 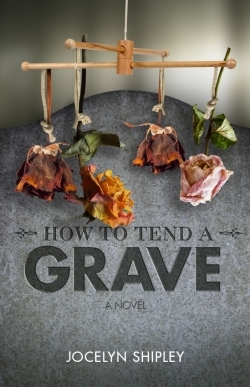 It was interesting to read that in Jocelyn’s first draft of How to Tend a Grave, there was one main character but in a subsequent draft, a second main character emerged. Jocelyn concluded that she would achieve more depth by telling two merging stories in two voices, but this conclusion required some time and distance from the manuscript. I love hearing about a writer’s process, and can’t emphasize enough that first drafts are a beginning point. I love hearing about how other writers work too. Shows there’s no one right way to do it – you have to find what works for you. And I agree that a first draft is just the beginning. That’s why one of the photos shows a stack of 7 drafts of How to Tend a Grave – to emphasize that it takes a lot of revision and rewriting to make a book publishable.